For fans of the amazing podcast by Apple Cider and Chef Sandy and the discussion thereof. Apple Cider & Chef Sandy will be at Animation on Display !bronyville !sfbronies and also Mic The Microphone too yay! Hey #Everypony , I'm back from my Brony Meetup ! I hanged out with Apple Cider for the !Bronyville Podcast during the meetup it was fun :3 , Also @Nymo too! !bronyville 'He was making British Food... y'know, really bad for you stuff'. Sorry guys, but POT. KETTLE. BLACK?! @punbot Bah! I have it on good authority from the Elders of the Internet that it's at the top of Big Ben, for optimal reception. Well, I must away... I'll be watching paint dry while listening to 70s "pop" / !bronyville. Take care one and all! Y U NO READ MY LETTER, !bronyville? New Friendship is Witchcraft?! That, my friend, is the hottest of dogs. @pawnheart I'm alright! 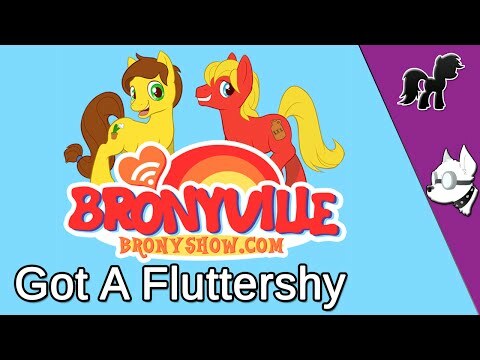 Just heard the new bronyville episode and noticed we don't have a group for it and well, I've always wanted to make a group so I'm working on that right now. How're you? @pallettwist Yay! 'I wanna join! 'pologies, was watching the witchcraft. I less napped than I did roll around in half-sleep, thinking I was still on RDN, but I'm doing okay, cheers! delete_ and Barton Flank like this.